Once your Blocked Drains Melbourne drains are letting out that foul smell, flooding of the sink, shower, toilet bowl or the bathroom, these are real signs that there is something wrong with the drainage or the drain pipes. There is a possible clog in your drain or drain pipes and you don’t want to keep this problem for long. Remove the gunk and hair that has collected in the drain to fix it. However, if this doesn’t solve the problem, we have more easy ideas that you could try to remedy and remove the clog. Try to unclog your clogged drain with a bent wire hanger. A bent wire hanger can fish out the clogs for you. Straighten a wire hanger and create a hook on the end and start fishing out gunk and hair out of the drain. Your objective is to pull or fish out the gunk and other nasty things on the drain and not push the dirt further into the drain. Once you have gotten rid of the clog, turn the hot water on and clear up any other residue. Try mixing baking soda with vinegar to dissolve the clog. Mixing 1/3 cup off with 1/3 cup of vinegar in a cup can do wonders for a clogged drain. The mixture can fizz immediately once mixed, so pour it right away into the clogged drain. The fizz means that it will remove gunk, hair, grime and other elements that have clogged the drain or has built-up in the pipes. For better results, let it sit overnight. After, you may flush it with hot water. An alternative way to use these products is by pouring the baking soda down the drain first, then followed by the vinegar. Use the wet or dry vacuum. We have to warn you that this tip may not always work. However, there are instances that it does. A wet and dry vacuum is ideal for the procedure. Set it to vacuum liquids and cover up the vent to avoid messing up. Try creating a tight seal cover over the drain for more pressure. Turn the vacuum to its highest setting and hopefully, it will draw up the clog up its pipe into the vacuum bag. Pour boiling water into the blocked drain. 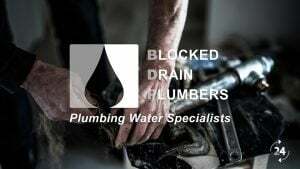 This is perhaps the easiest way to unclog blocked drains. Fill a kettle up with water and simply boil water in it. Then once the water is boiled, pour it down slowly into the drain. Do this in three stages carefully. Let the boiling water work for several seconds before you do your next pour. If the problem is fixed, treat yourself with a cup of tea or coffee. Try caustic soda to remove the clog. Caustic soda is Sodium hydroxide. It is a very active chemical compound that can cause bad chemical burns, so be ready to wear rubber gloves and eye protection when using it. The chemical can be bought in hardware stores but should be used with care. To use it, pour about 2.83 litres of cold water into a bucket. Add 3 cups of the soda into the bucket and stir with a wooden spoon or stick. Wait for it to fizz or heat up and once it does, pour it into the blocked drain and let it sit for 20 to 30 minutes. After 30 minutes, flush the clogged drain with boiling water. If the problem persists, you can repeat the procedure. Clean the drain pipe. If the clog is in your sink drain pipe, put an empty bucket under the U-shaped pipe or trap beneath the sink. This bucket will collect water spilling from the pipe. Get a plumber’s wrench to loosen the slip nuts. Once you have removed the trap, turn it upside down and empty whatever contents it has into the bucket. Fish out any debris you may find inside it and do the same for the pipes that held it. Remove gunk out with a toothbrush. Rinse with water and reassemble, after. Try the drain snake to remove the clog. A drain snake is a long flexible metal rope-like clog-removing tool which has a spiral metal at the end commonly used to unclog your drain pipes. You may disassemble the P-trap or the U-shaped bent pipe and then feed the drain snake into the pipe going out into the drain to remove the clog. You will feel some resistance once you reach the clog and the drain snake will break it down for you. Once you reach it and it has broken down, pull out the drain snake slowly out of the pipe drain. Reassemble the P-trap and rinse the drain with hot water to remove debris and residue. Try a mixture of salt and baking soda to remove the clog. Mix ½ cup of table salt with ½ cup of baking soda to create a dissolving solution. Pour the mixture into the blocked drain and let it stay there for 10-20 minutes. After 20 minutes, pour boiling water down the drain. The mixture will dissolve some common blockages like oils that have solidified. Use dish detergents to unclog a clogged toilet. ¼ cup of dish detergent poured into the toilet bowl and some boiling water should be able to unclog a clogged toilet. The soap will help lubricate and break up any greasy residue. Then pour the boiling water and start plunging. If this doesn’t work, get your rubber gloves to try removing the clog with your fingers. Try baking soda, vinegar, gravity and pressure for bath drain clogs. Mix baking soda and vinegar as was mentioned earlier and pour it down the bath drain. Put the stopper over it and let the mixture sit for 45 to 60 minutes. Then fill the bathtub with water. After, remover the stopper and let the pressure of 150 to 227 litres of water use its magic in dislodging the clogs. You can also try plunging or drain snake along. 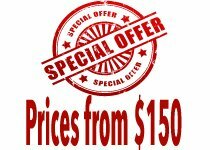 For further assistance with your blocked drain problems and you need professional help on how to fix a blocked toilet or your drains need blocked toilet contact us on 0412 738 874 or leave a message.